A successful telehealth program elevates care, improves coordination, and demonstrates real value to organizations. The growth of system-wide telehealth is one of the more promising trends of 2017, as hospitals and health systems seek new ways to improve care for patients through a variety of programs. Today, organizations often focus on high-acuity programs like telestroke, which successfully serve some of the highest-needs populations. These programs often boast the greatest success rates—and help make the case for a more comprehensive, system-wide strategy. As a part of this, a growing number of hospitals also want to offer patients on-demand services: A 2015 survey from the Advisory Board Company indicates more than 80 percent of healthcare providers are interested in offering direct-to-consumer (DTC) telehealth (which, researchers note, is inclusive of remote monitoring and virtual visits). However, not all vendors are alike in their ability to support a system-wide telehealth program that can support these and multiple other use scenarios, like behavioral health. A handful of major vendors have the infrastructure to accommodate high-acuity telehealth situations, which requires a hospital to be able to quickly access experts who can remotely evaluate and treat patients displaying acute symptoms. However, these same vendors may lack the resources, such as a network of credentialed, high-quality providers for virtual visits, to help an organization expand into a lower-acuity use, like DTC. Market research firm KLAS acknowledged this conundrum in its 2017 Telehealth Virtual Care Platforms report, which evaluated several of the leading telehealth platforms used by more than 100 healthcare organizations. According to KLAS researchers, leading vendors offer solid technology solutions to enable synchronous (i.e., live) visits between patients and providers or between providers and specialists. Yet very few are highly successful in offering both telespecialty services (initiated by providers from within the walls of a clinic or hospital for the purpose of consulting a specialist) and on-demand services (which are typically unscheduled, patient-initiated visits to address urgent or on-demand medical needs). What healthcare organizations must do, therefore, is seek vendor partners that can offer a more comprehensive, end-to-end solution instead of a “patchwork” solution. Specifically, organizations that want to offer system-wide telehealth need a platform that facilitates a seamless technology experience for patients anytime and anywhere — whether they are experiencing a stroke, or simply need to call a doctor while on vacation. Implementing a comprehensive telehealth program is a significant undertaking for any healthcare organization, especially organizations that are already using telehealth platforms that are several years old, and may not be aligned with the most up-to-date standards, or easily integrate with other technology such as Electronic Health Records (EHRs). Therefore, evaluating vendor partners on the front end is the most important part of expanding into new markets, such as DTC telehealth. Experience. A technology partner should have a proven track record in working with healthcare organizations to help them accomplish their goals. Organizations that want to roll out DTC programs and outsource remote providers should make sure that their partners have established relationships with credentialed, board certified provider partners for virtual and onsite care coverage. As the KLAS report noted, DTC telehealth should ideally help boost healthcare organizations’ access to vendor-employed urgent or specialty care providers when an organization does not have access to such clinicians through other means. The ideal telehealth platform should also allow providers to document the visit in the patient’s record within the EHR, researchers added. Interoperability. As value-based care becomes more of a norm (and less of an alternative to fee for service), the need for tighter care coordination and information exchange will increase. If a vendor partner’s platform isn’t interoperable with all major EHRs, an organization will waste a lot of time and money in trying to coordinate care and record visits. Flexibility. An organization’s needs, programs and partnerships are always evolving. A vendor partner must be flexible and able to accommodate today’s needs and future plans to launch new telehealth programs. Technology cannot simply be great, powerful, and secure. It must also be able to adapt to multiple use cases. 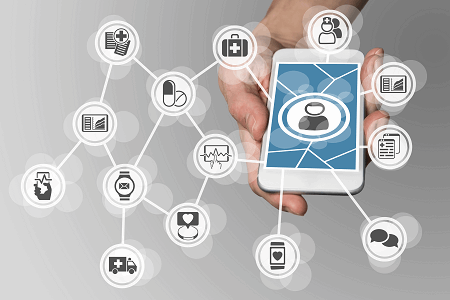 These may include providers who want to conduct secure DTC virtual visits between their mobile phone and patients’ mobile phones, as well as remote specialists who conduct “virtual” visits with patients in remote exam rooms. Each of these use cases requires different tools, back-end technology, and expertise. A vendor should possess the technology to empower additional use cases with customizable technology solutions and quality providers, to ensure high-quality virtual care reaches patients in any location throughout the continuum. Working with a flexible partner offers the benefit of being able to take a “hybrid approach” to system-wide telehealth implementation, whereupon some aspects of a program are managed in-house, while others are outsourced. The approach may make sense for an organization that likes the option of a gradual system-wide rollout, one program at a time, in lieu of a more all-encompassing, multi-program telehealth rollout. Still, even with a hybrid approach, it is just as important to have a strong vendor-selection process in place. Every health system or provider organization’s plans for telehealth vary. With that in mind, a vendor should be able to accommodate this and administer multiple use cases. The vendor should be able to support multiple work flows and have clinical protocols in place to properly run and deliver care. For example, in order to offer DTC telehealth, an organization needs a solid provider-vetting process to ensure their patients connect with reputable practitioners who can address their real-time concerns. Hospitals that oversee this process will need to investigate quality metrics such as provider call times or prescriptions or satisfaction ratings. However, a health system that doesn’t have the resources to invest in all of this upfront legwork would benefit from working with a vendor partner that can offer these services as part of its telehealth suite. That partner could also offer key insights for healthcare organizations that want to capture patient revenues through DTC telehealth. Whether a hospital or health system wants to foray into DTC or expand its telehealth presence in other ways, having solid team players can make all the difference. Most importantly, the right team can ensure an organization avoids mishaps as it ventures into uncharted virtual care territory.